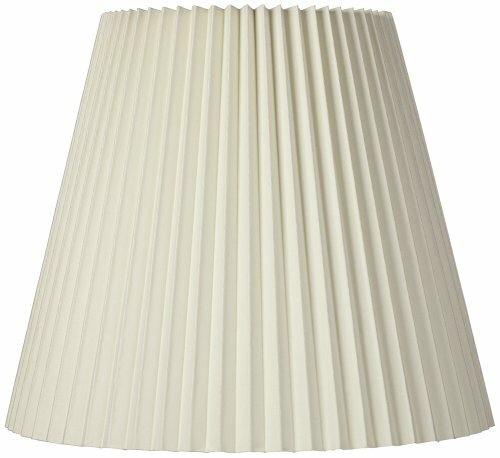 Update a favorite lamp with this handsome pleated shade design. The shade comes in a creme linen fabric with wide box pleats for decoration. There is self trim top and bottom.- 7" across the top x 14" across the bottom x 11" high overall.- Hardback style unlined interior with a polished brass finish spider fitter.- From the Springcrest Collection™.- Creme linen fabric with wide box pleats.- The correct size harp and a finial are included free with this shade. 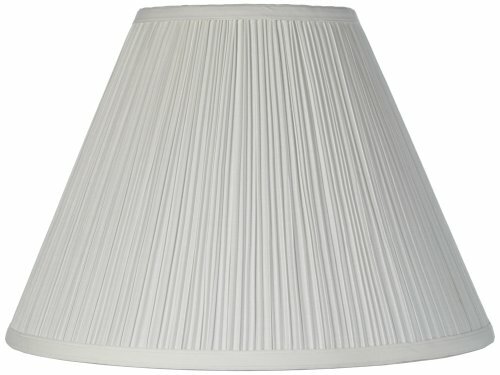 A traditional lamp shade featuring detailed knife pleats. Delicate eggshell color creates a soft glow. A perfect touch for your home decor. Spider fitting. Polished brass finish spider.- 9" across the top x 17" across the bottom x 12 1/4" on the slant x 11 3/4" high.- From the Brentwood collection of lamp shades.- Eggshell colored cotton and polyester blend fabric. Hardback white poly styrene inner liner.- Knife pleating. - Polished brass finish spider. The correct size harp and a finial are included free with this shade. 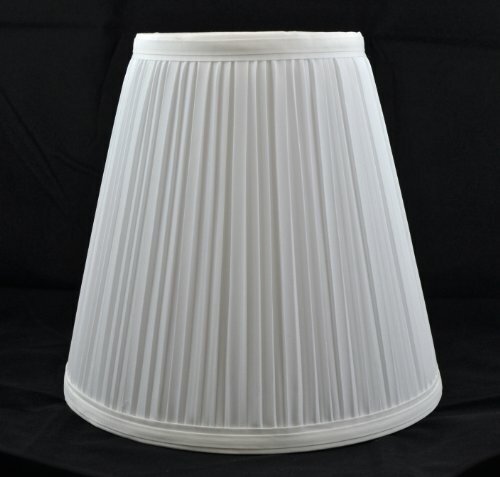 A Ray of Light 7" x 17" x 13"H Bright White Pleated Empire Lamp Shade. Fabric with 1/2" Drop Metal Spider for Harp Fitting. This ivory shade is the perfect touch to round out any decor. 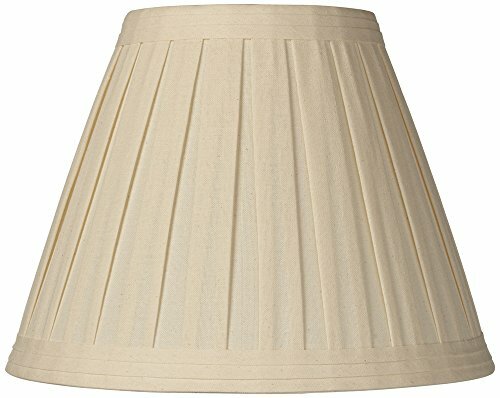 Beautiful knife pleats create a refined classic look to your lamps.- 10" across the top x 17" across the bottom x 14 3/4" on the slant x 14 1/2" high.- Polished brass spider fitter, unlined inside.- From the Brentwood collection of lamp shades.- Ivory colored shade. Cotton, poly blend material, pleated bell shade with knife pleats. Hardback poly styrene inner liner.- The correct size harp and a finial are included free with this shade. From the Brentwood lamp shade collection. 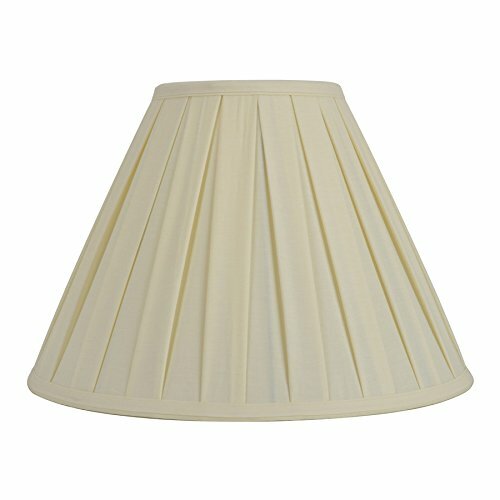 Antique white shade with pleats. Brass finish spider. 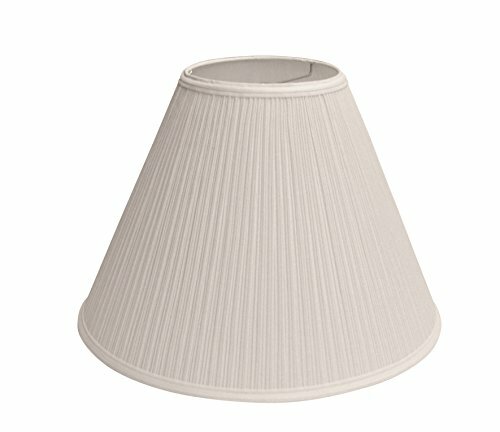 From the Brentwood lamp shade collection.- 6 1/2" across the top x 15" across the bottom x 11" on the slant x 10 1/2" high overall.- Brass finish spider fitting.- Antique white mushroom pleat fabric.- A Brentwood brand lamp shade.- The correct size harp is included with this shade. Black fabric in a mushroom pleated style. Spider fitting.- 7" across the top x 17" across the bottom x 11 1/2" on the slant x 11" high.- Black lamp shade with mushroom pleat fabric; self trim top and bottom.- Spider fitting.- Design by Springcrest Collection™.- The correct size harp and a finial are included free with this shade. 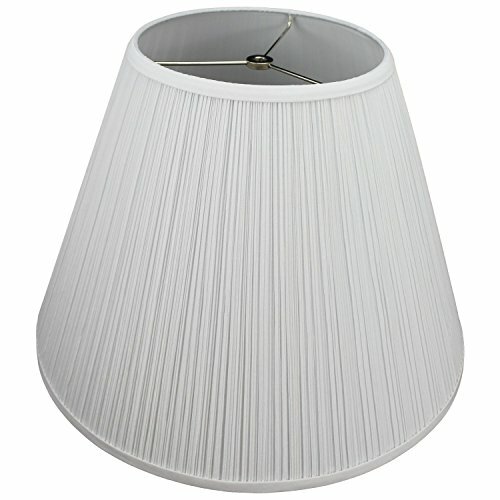 Replace your floor or table lamp with this 10 Inch Empire Clip on Replacement Lampshade. Easily clips onto the bulb with a brass, rust-resistant clip. This shade is available in both white and eggshell (cream) colors. 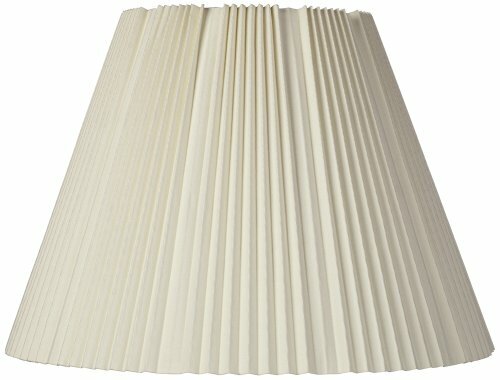 Looking for more Pleated Lamp Shades similar ideas? Try to explore these searches: Fresh Glow Luminous Cooling, Candida Yeast Test, and Racing Crossbar Pad. 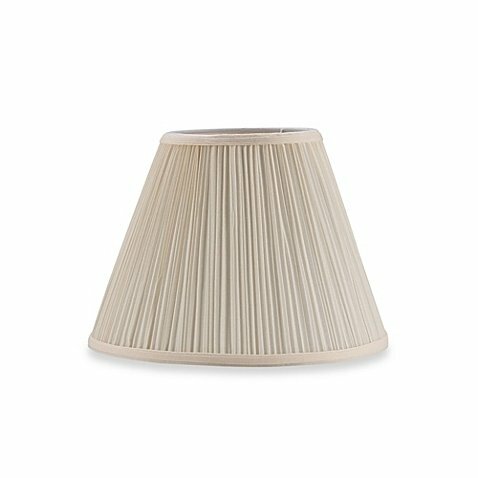 Shopwion.com is the smartest way for comparison shopping: compare prices from most trusted leading online stores for best Pleated Lamp Shades, Origami Christmas Tree Ornaments, Makeup Multi Shade Enhancer, Lamp Pleated Shades . 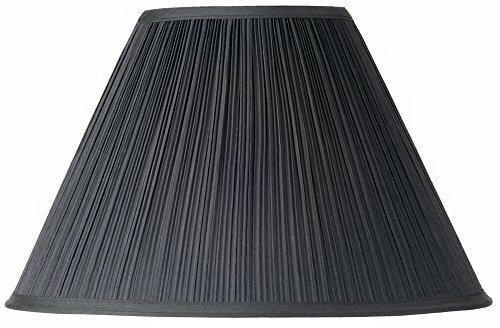 Don't miss this Pleated Lamp Shades today, April 19, 2019 deals, updated daily.